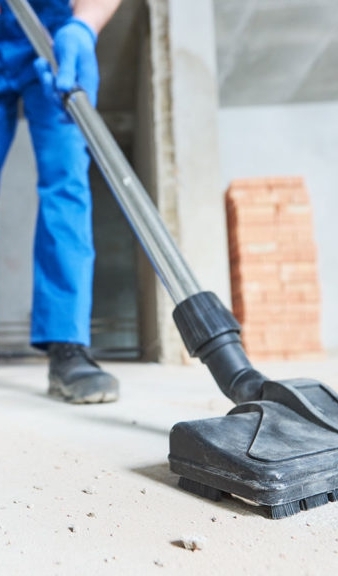 With nearly 30 years of experience in construction clean-up, we provide the most thorough commercial, residential and retail cleaning services in Massachusetts. In addition to professionalism and expertise, we offer affordable prices and are fully bonded and insured. Plus, our post-construction cleaning services are available 24 hours a day, 7 days a week! Our professional cleaning crews are fluent in English and refrain from eating, drinking and smoking while on your property. Our crews are trained to have an eye for detail and they are supervised by an experienced manager who leads your entire project. We clean with the safety of our cleaning staff and our clients in mind. In addition to being trained in safety awareness, we always use cautionary set-up and cleaning practices. We understand that post-construction cleanup can be complicated, so we offer flexible schedules to all our contractors and construction companies. We also offer the best professional cleaning products and accessories you need, and have company-wide standards in place. We also offer 24-hour emergency cleaning services. 5-Star Professional Cleaning is more than just a name. We take our cleaning services seriously, so we comply with all state and local regulations. We are also fully bonded and insured with Liability and Workers’ Compensation. For customers who prefer green cleaning products, equipment or procedures, ask us about our biodegradable options - we offer HEPA filter vacuums and other green cleaning technologies.